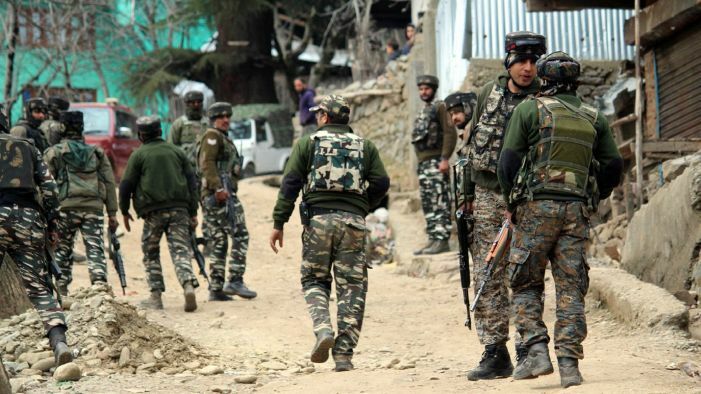 Srinagar: Two unidentified Jaish-e-Muhammad militants have been killed while six government forces personnel have suffered injuries during an ongoing between the government forces and militants on Srinagar city outskirts at Khunmoh. The gunfight broke out after government forces following inputs about presence of militants in the area launched a cordon and search operation. As the forces zeroed in on the suspected location, the militants fired on forces triggering a fierce gunfight, a police official said. He said that two militants have been killed in the gunfight so far while six government forces personnel have suffered injuries. The identification of the slain militants is being ascertained.